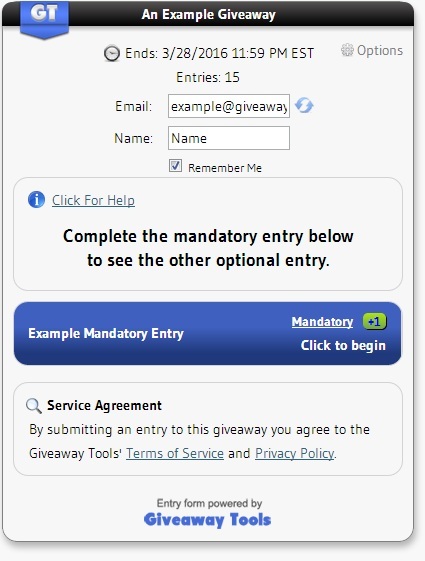 Giveaway Tools is a web application that creates an embeddable entry-form used for promotions & giveaways. You create the settings and we give you a small snippet of code to place anywhere you want your entry-form to appear. Please use the category drop down menus below to describe your site. Only one category is required, but you can select up to four.